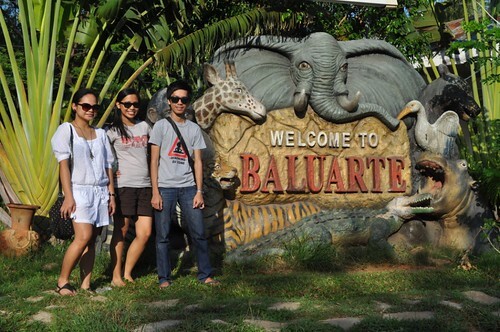 We were amazed how Baluarte looks like. The field was huge. There are ducks, deers, horses and ostrich in the field. You can also ride a horse for free. 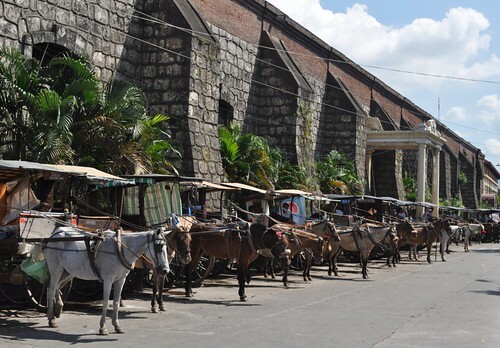 There is no regular tricycle on Baluarte. So we waited until a tricycle came. We asked the driver to take us to Calle Crisologo but the driver suggested if we want to go to Hidden Garden, so we agreed. Hidden Garden. 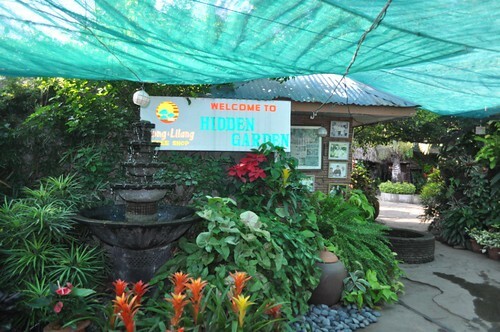 From Baluarte, it was a 20 minutes ride to Hidden Garden. There is no entrance fee. The garden was beautiful and relaxing. I love green and nature. I loved the place. It was calm and cool. We walked through the place with one of the staff. She was nice and hospitable, she was explaining everything as we walked through. She offered if we want to have a breakfast there but we refused as we already planned to have brunch at Grandpa’s Inn. 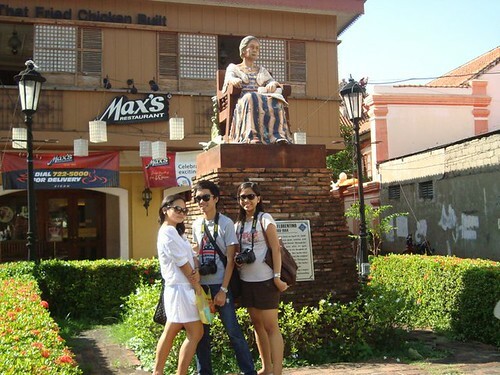 But for courtesy and kindness, we bought their famous Vigan’s empanada. It was already 9:00 AM. We left the garden then went to Calle Crisologo. Calle Crisologo. It was good to see the Calle Crisologo once again. But this time, the sun is shining. It was hot but tolerable. We stopped for awhile on the sari-sari store along the street. We bought soft drinks then ate the empanada we bought from Hidden Garden. It tasted good. It’s different from usual, it’s big, crunchy and filled with Vigan’s longanisa with egg. Moving on, as we strolled the street, we saw something that caught our eyes. A T-Shirt! The print was cool. The three of us bought it and we’ll wear it on our last day. 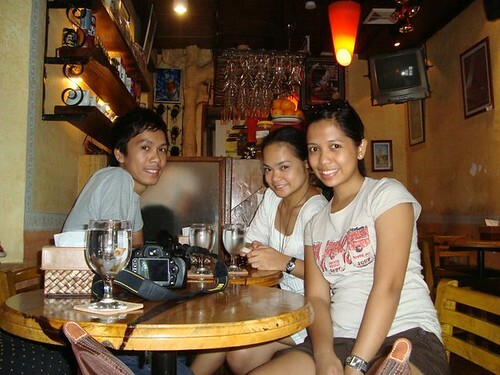 As we reached Max’s Restaurant (which is the entry point of Calle Crisologo), we’ve decided to have our brunch. We asked the locals where the Grandpa’s Inn was then we looked for it. 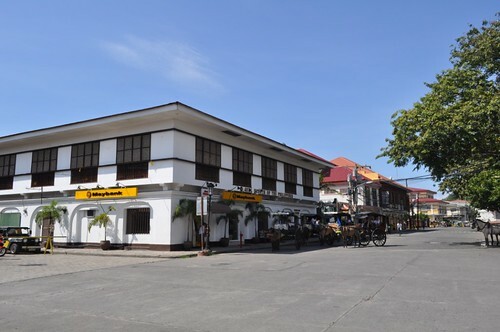 Grand Pa’s Inn (Kusina Felecitas). It was just a block away from where the Max’s Restaurant was. As we reached the restaurant, we asked for the menu and took our orders. 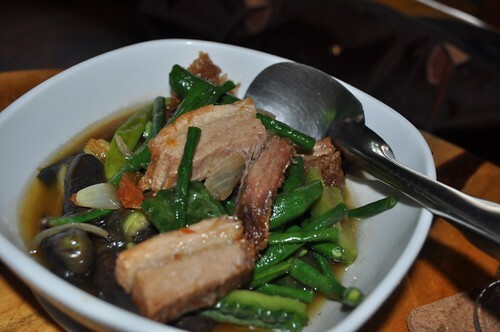 We wanted bagnet so we ordered Pinakbet with Bagnet and another local dish Sapsapuriket – which is similar to Tinola. The restaurant was cozy. Since it was still 10:00 AM, we were asked to transfer at the cafe. The cafe was small but it was OK.
And here’s our food. Nothing beats Bagnet plus pinakbet. Sarap! The Sapsapuriket was so-so. 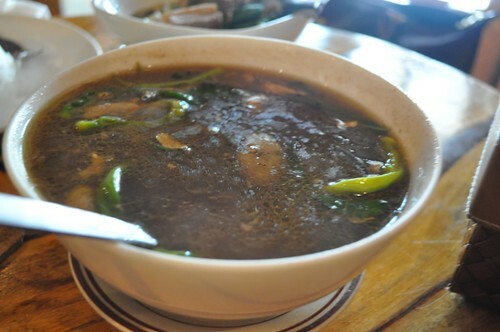 It’s like spiced tinola. Vane doesn’t like it since it tasted like Dinuguan. Anyways, we’re running out of time, so after dining in at the Kusina Felicitas. I asked them to go back to Calle Crisologo and buy everything – bagnet and bibingka for take home while I waited for our bill. Moving on, as we went back to our lodging, I still managed to take photos along our way though we’re on a rush. And here’s some of the photos I’ve taken. Please bear with my photos as these photos were taken on a fast walk while shooting mode with bitbitin on my hands. We rode a tricycle from the Cathedral going to our lodging. And as soon as we reached our room, we fixed our things then washed up. We have no time to relax as we still have 2:00 PM tour with Kuya Arnel at Pagudpod. So when we’re all set, we checked out then went to the Partas Bus Terminal near the market. It took us 20 minutes before we reached the terminal. We’re lucky, we’re just on time. The bus to Laoag is just departing, so we boarded. The fare is PHP 121.00 each. We left Vigan at 11:00 AM. There are only few passengers in the bus and we’re lucky because the bus is not loading passengers anymore along the road. 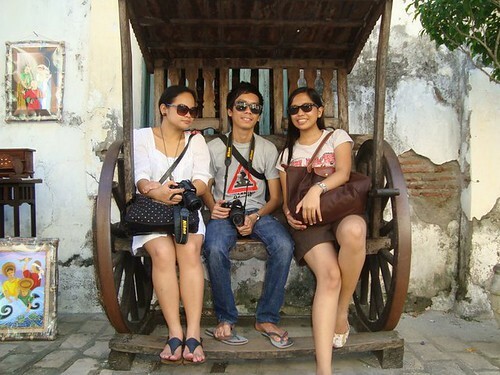 It was a fast bus trip, it took us only 1 1/2 hours from Vigan to Laoag. At 12.30 PM, we reached Partas Bus Terminal at Laoag, then we rode a tricycle and asked the driver to take us to the terminal going to Pagudpud. 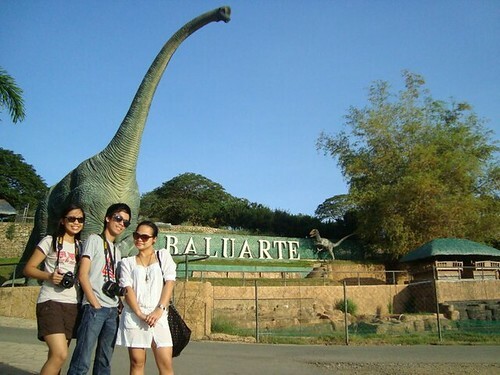 Baluarte and Hidden Garden is open to public and have no entrance fee. 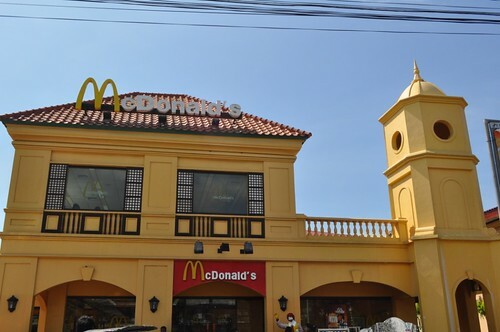 Good restaurants are located nearby Calle Crisologo like Grandpa’s Inn and Cafe Leona but there are also usual restaurants and fast foods like Max’s, Mcdo, Jollibee and Chowking nearby. 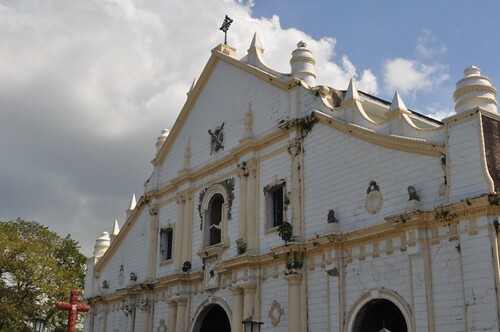 Must-try Vigan’s specialties like Chichacorn, Bibingka, Empanada, Bagnet and Longganisa. Try to take home some of those. Si kuya driver talagang naging tour guide narin, magaling dumiskarte si kuya ha. hehe. @Mapanuri, I know you'll enjoy your trip. Have fun! 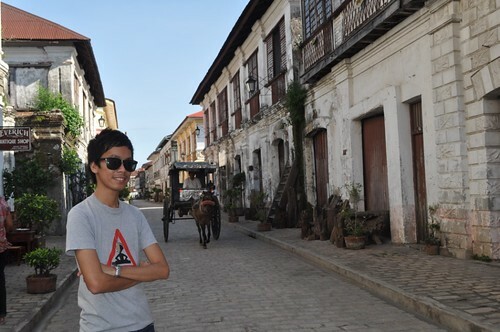 Ilocos is an interesting place to visit. Thanks. @Chyng, dapat nagpalibre ka kay Mang Arnel… Hehehe! Talagang nagpaka-anonymous ka pa ah! Pede naman maglagay ng name! Hahaha! Best, namiss ko naman ang Pinakbet with Bagnet! Yum yum.